Malvira 2008, Langhe Nebbiolo: "the quality of the wine vs the price is outstanding". This Malvira is a basic Nebbiolo, costing around €12. This particular vintage still feels so young that it`s really hard to believe it’s a 2008 “basic” bottle of Nebbiolo. Back in October 2011 during the white truffle fair in Alba, I met up with some friends and at dinner they gave me the honour (being the only Italian in the group…) to select the first wine of the evening – we planned to make our way through different labels throughout the night. From the wine list I recognised the name Malvira, a label I had previously enjoyed a white from so decided to try one of their reds and selected the Langhe Nebbiolo. 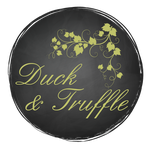 Everyone soon realised that the quality of the wine vs the price was so outstanding that we didn’t move on to other wines, instead we enjoyed more of the same throughout our dinner with white truffles. On our regular trips back to Italy we have often purchased other labels of Malvira and always enjoyed them very much. 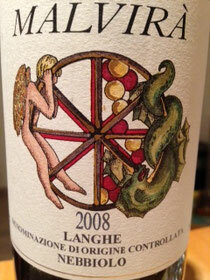 Recently we picked up the Vintage 2008 of the Langhe Nebbiolo. With wines of this character and depth, they really are so much better if you open them half hour before drinking – and let them breathe. Even better if you can decant it. Starting with the colour you can admire the ruby red shades. Swirl the wine in a deep wine glass and really breathe in the smell. Coming through are the smells of dried roses, deep red and black berries and a hint of spices. The fruits are reflected in the warmth of the taste and the spices paired with soft tannins gives it a freshness which invites you for more…..sometimes too easily! Nebbiolo is a noble grape mainly cultivated in the Piemonte region of North West Italy and is used for the production of world famous Barolo and Barbaresco wines. It is known to be particular about where it will grow and ripen to give its best. The “terroir” of Langhe is, historically, the perfect home for Nebbiolo and the Roero area, just slightly to the north, keeps improving over the last few years to prove they can give excellent quality and often, at better value.